Microsoft’s upcoming Xbox One console took a lot of heat this spring when it was announced that an always-on Kinect camera sensor would be required to play any game regardless of whether said game uses the Kinect or not. It was a creepy requirement: To use the Xbox One, the video game system needed to watch and listen to you playing it. Removing the Kinect requirement may cause a number of problems for developers working on games for the system. Programmers were told to code software around the concept of the Kinect always being on, so many game functions will have to be reviewed and revised. With the November release of the console just around the corner, there may not be enough time for third-party companies to go back to the drawing board. This actually marks the third 180 for Microsoft’s poorly marketed system. 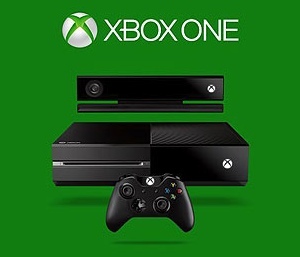 Facing outrage from potential customers, the company scrapped plans to require the Xbox One to be connected to the Internet at all times to work, even while playing single-player games. The company also reversed itself on its complex digital rights management (DRM) scheme that removed your right to resell software you bought for the console. Both ideas were aimed at cutting piracy, but wound up being tremendously unpopular with the gaming public. More importantly: Both plans wound up driving customers away from the $499 Xbox One and towards the $399 Playstation 4.